As the fifth anniversary of the Maguindanao massacre (also known as the Ampatuan massacre) approaches, the question may once again be asked: “Is the Philippines safe for the media?” For those who may have forgotten about this deadly attack, the massacre occurred because one longstanding political family, the Ampatuans, deeply rooted and deeply violent and corrupt, even having a town named after them, decided to brutally murder another candidate who dared to run against them in the gubernatorial elections. As a result, a total of 58 people were brutally murdered, 34 of which were journalists; making it the deadliest such attack in the history of news media, in a country rated as the second most dangerous place for journalists, second only to Iraq. It was November 23, 2009, in the infamous town of Ampatuan, Mindanao Philippines, when the 58 victims, many of whom were on their way to file the certificate of candidacy (COC) for Esmael Mangudadatu, the vice mayor of the town of Buluan, were kidnapped and then brutally slaughtered. He was to run against Datu Unsay mayor Andal Ampatuan Jr., son of the incumbent Maguindanao governor Andal Ampatuan, Sr., who was a member of one of Mindanao’s leading Muslim political clans. Esmael Mangudadatu was actually not with the victims as he was still in Manila, conducting business, thus his wife and other members of his family were the ones who were going to file the COC just before the deadline. Esmael had asked for the envoy of journalists to accompany his family as he had received reports that the Ampatuans had threatened to chop him into pieces if he filed his COC. In the convoy of six vehicles heading to the Commission on Elections provincial office, were journalists, lawyers, and relatives of then Vice Mayor Mangudadatu. The convoy was then hijacked by approximately 100 armed men, who kidnapped and then killed every one of them. Mangudadatu’s wife was able to send him a text message that stated the men of Ampatuan Jr. were blocking them, and the he himself had personally slapped her. After that, her phone went dead. There is evidence that at least five of the female victims, four journalists, had been raped before being murdered, and Mangudadatu’s youngest sister and aunt were both pregnant at the time of their murders. Two other vehicles, not with the convoy but traveling on the same road at the time, unfortunately also became involved in the massacre, and six people totally unrelated to the filing of the COC were thus murdered as well. This was no spontaneous event or sudden attack of rage, but a premeditated, calculated act of brutal murder. Two days before the attack, the massive graves to be used to bury the victims and their vehicles were dug in a nearby area. An excavator, which had the name of Andal Ampatuan Sr. on it, was found in close proximity to the carnage of the town of Ampatuan, and was identified as the machine used in the crime. Because of the calculated viciousness and savagery of this atrocity, a state of emergency and then Martial Law was declared in order to be able to quickly identify and arrest the criminals and disarm private armies such as these. In successive raids of a warehouse owned by Andal Ampatuan Jr., more than 330,000 rounds of ammunition, an armored vehicle and a Humvee were confiscated. Andal Ampatuan Jr. and Andal Ampatuan Sr., along with more than 198 suspects were charged with murder. Now, 5 years later, what is the status of this infamous case? To begin with, two years after the murders, November 23, 2011, only the two Ampatuans had been charged and close to 100 of the 198 were still at large. On June 28, 2012 the Court of Appeals rejected the petition of the grandson of Andal Ampatuan Sr., Anwar Ampatuan to have the 57 murder charges against him removed. He was subsequently arrested in August of 2012. Acting on a motion by Andal Ampatuan Jr., in November of 2012 the Supreme Court of the Philippines decided not to allow live media broadcast, but only filming of the case proceedings to be used for documentation. By March 4, 2014, the prosecution chose to rest in its case against 28 of the suspects, including Andal Ampatuan Jr. At that time, the prosecutors said they were not ready to rest its case against 76 other of the accused because of pending appeals. In August of 2014, there were allegations made against the state prosecutors of accepting bribes; charges which they vehemently denied. Several teams of defense lawyers for Ampatuan Sr. and his son withdrew from the case due to alleged conflicts of interest and for other reasons, and on August 13, they were assigned a public defender to represent them. Also since August of this year, ongoing allegations of bribery and extortion are being tossed around in regards to this case. 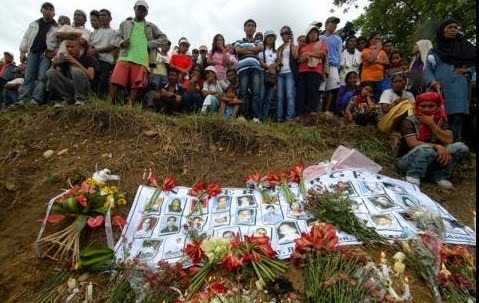 And just on October 15, 2014, it has been reported that 17 of the policemen accused on multiple counts of murder will be able to post bail in the amount of 11.6 million pesos. But has there yet been any justice delivered? This case is one that has rocked the world, because of the raw brutality and inhumanity that has been exercised. At the beginning of the legal proceedings of this case, it was estimated that with the 198 defendants and 300 witnesses, the trial could take 200 years; another speculated that it could take more than 100 years to complete the trial. One must ask reflective questions. How deep is the corruption within the political system and law enforcement that needs to be uncovered? Does this corruption spill out into the legal arena? Is it really possible to get to the truth of such an evil, calculated and brutal attack? How many others are there who are working to suppress evidence or distort the facts of this case? Where are all the other criminals who were involved, and what are they doing now? Will they ever be found and brought to justice? And can members of the media ever be safe in the Philippines, especially in the provinces of Mindanao? The answers to these questions may never be found, buried deep within a country with such a corrupt culture, where a majority of its citizens are left struggling just to feed their poor. But justice must still be sought at whatever cost. PARIS, 10 October 2014: Vietnam must put an end to executions and undertake incremental and time-bound reforms towards abolishing the death penalty, FIDH and its member organization VCHR said today to mark the 12th World Day Against the Death Penalty. “Despite Vietnam’s rhetoric of adopting a ‘humane policy’ vis-à-vis the death penalty, executions have not stopped and Hanoi has showed a cynical lack of commitment to making progress toward the abolition of capital punishment,” said FIDH President Karim Lahidji. On 5 February 2014, during its second Universal Periodic Review (UPR), Vietnam refused to commit to ratifying the Second Optional Protocol to the International Covenant on Civil and Political Rights and establishing a moratorium on executions. In addition, Vietnam accepted only six of the 29 recommendations made by other states on death penalty-related issues. Four of the six accepted recommendations urged Vietnam to reduce the number of capital crimes. Vietnam’s Criminal Code lists 22 offenses that are punishable by death. FIDH and VCHR urge Vietnam to establish an official moratorium on capital punishment, to sign and ratify the Second Optional Protocol to the International Covenant on Civil and Political Rights aiming at abolishing the death penalty, and to vote in favor of a resolution calling for a worldwide moratorium on executions at the 69th session of the UN General Assembly (UNGA) in December. At least 148 people were sentenced to death in 2013. As of November 2013, a total of 678 prisoners were awaiting execution. Vietnam usually treats statistics about executions as state secrets. However, some are periodically reported in state media. The last time executions were reported was on 23 July 2014, when state media said three people were put to death by lethal injection a day earlier. One of the three was Nguyen Duc Nghia, 30, who had been sentenced to death in July 2010 on charges of murdering his ex-girlfriend. FIDH is a member of the World Coalition Against the Death Penalty. FIDH opposes the death penalty for all crimes and in all circumstances and works with its member organizations for its global abolition. FIDH considers that death penalty constitutes an inhuman treatment. FIDH has documented that death penalty is commonly pronounced after unfair trials, and its application is often discriminatory. Student and other activists are now demonstrating in Hong Kong, calling for the implementation of a fully democratic political system. Hong Kong is part of China. What this means is that there is now an actual pro-democracy revolution underway in China. This is wonderful news. The people of China have suffered for sixty-five years under the tyrannical rule of the Communist Party. They deserve democracy. However, if such a revolution is to succeed, there are a number of critical factors. The first of these is that the revolution needs fierce leaders: people who are willing to sacrifice everything for freedom. It takes these types of leaders to inspire the general public to overcome their fear and to join the revolution. Hong Kong has such leaders. Joshua Wong and his associates from the group Scholarism are clear examples of the bravery that is required. Their bravery should and must be rewarded. The second factor is turnout. It is absolutely essential that everything conceivable be done to grow the crowds of protestors as much as possible. Only with a huge revolution is there any possibility of success. Seven years ago there was a popular revolution in Burma, China’s neighbor to the Southwest, led by Buddhist monks. It reached perhaps one hundred thousand people, in four of the country’s largest cities. The revolution failed, though, because everyone else just watched. Had the number of demonstrators swelled to the millions, Burma would now be free. The turnout issue is often ignored. The leaders are preoccupied with participating in the protests, with the result that growing the size of the demonstration is not viewed as a distinct and essential step. What is required is for other activists to do everything they can to call for more and more protestors, hour after hour and day after day, through both traditional and social media. A revolutionary fire needs to be well tended, if it is to bear fruit. If this is done in Hong Kong, the protest can achieve its main goal, to force the Communist Party to allow a truly democratic election in 2017. But, this still leaves the question of China as a whole. 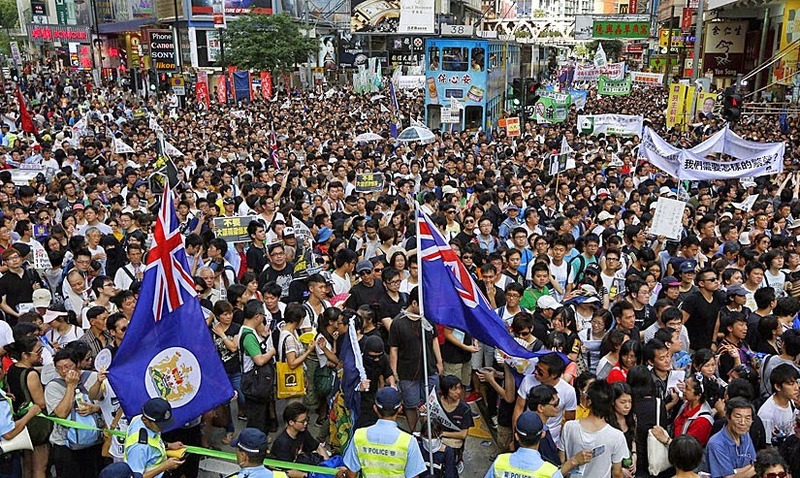 There are now sympathy protests for Hong Kong in cities around the world. The protests in China need to spread as well, to the mainland. It is not only Hong Kong that deserves freedom and democracy. Everyone in China deserves freedom and democracy. To spread the Hong Kong protests to mainland China requires a return to the first step, the need for courageous leaders. For China to be free, leaders from the young people in the towns and cities need to be encouraged to rise up and to start their own local movements. Lastly, the people of Hong Kong and China need international support, to let them know that the world is behind them, and to pressure the Communist Party not to respond to their protests with force. Ordinary people are already doing their part, but this too needs to grow. The people of China can generate enough force to be free of their tyrants, but not through taking up arms; instead, by taking to the streets. We, the International Community, starting with our elected officials, are obliged to do everything that we can to help them. We are a group of ethnics people from Myanmar based in South Korea. Our organization’s name is the All Ethnics Democracy and Human Rights Network. 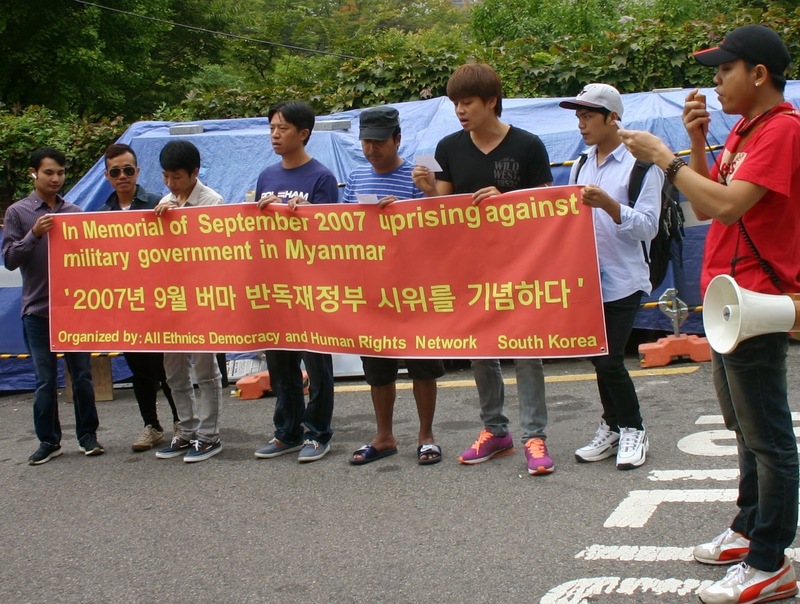 Today we are holding a pro-democracy and ethnic-rights demonstration in front of the Myanmar Embassy, in the event of “7th anniversary of September uprising” against military government in 2007. Today marks the 7th anniversary of the “September uprising” which started in 2007. Where many of innocent people were were killed by Myanmar military junta, including monks and activists. We, the All Ethnics Democracy and Human Rights Network strongly condemn the Myanmar military junta for crime against humanity and human rights violation. Although current new government promised to promote democracy, but the ethnic minorities of Myanmar are threatened more than other sectors of the population. 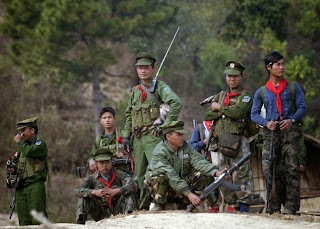 There are continued conflict between ethnic groups and the military junta along the border areas of the ethnic regions. Subsequently the military junta has systematically ignored the fundamental human rights and freedoms of the population living in the particular ethnic regions of Myanmar. Therefore, we, the All Ethnics Democracy and Human Rights Network, demand that the Myanmar military junta: (1) Permanent ceasefire with ethnic minority region and end its human rights violations and repression upon the ethnic people. (2) Make amendment of the constitution, for examples, 25% seats at parliament for soldier and Buddhism position above other religions. (3) Immediately relieve ethnic people from other forms of political and economic repression. 1. The presentation of report on the situation of human rights “Access to Justice in Thailand: Currently Unavailable Human Rights Situation 100 Days after the Coup” is an attempt to shed light on obstacles to access to justice in the aftermath of the coup in Thailand. It is not a political gathering. TLHR has been established to receive complaints and provide legal aid to detainees, and we are simply performing our duties as lawyers and human rights activists. Given that Martial Law has still been imposed and it provides draconian power to the officials, an effort to monitor the situation and disseminate information to society is therefore indispensable. 2. The right to freedom of expression is a fundamental human right enshrined in the International Covenant on Civil and Political Rights (ICCPR) to which Thailand is a state party and is obliged to observe. After all, NCPO has been telling the press that it respects human rights principles. Also, Section 4 of the 2014 Interim Constitution written by NCPO itself provides for protection of human dignity, rights, liberty and equality of all Thailand people in accordance with the Constitutional practice in the democratic regime of government with the King as Head of the State and any existing international obligations should therefore be respected as per the Constitution. Any attempt to prevent a public event to discuss about human rights from happening is a gross violation of such rights and liberties. 3. 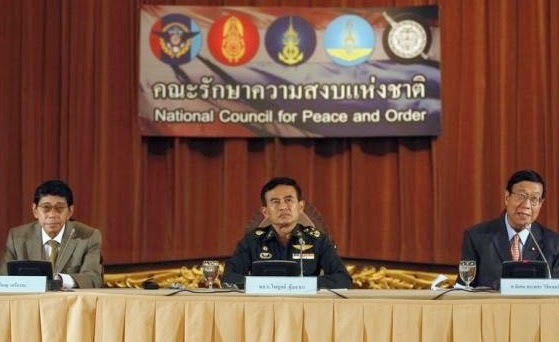 Apart from being a direct intimidation to lawyers and rights activists, the attempt by the military authorities to “ask for cooperation” to cancel or postpone the event and the reiteration that if the organizers decide to press ahead with the event, they shall face prosecution for violating the NCPO Announcement which bans any political gathering, will also perpetuate the climate of fear in society and will lead to further infringement of human rights and the chance the affected families shall be accorded with justice and remedies. Such a consequence seems contradictory to the image the NCPO has tried to project by claiming that they have been performing their duties with due respect to human rights. It also highlights the grave human rights situation as of now. There is a complex negotiation underway in Burma, which has now entered its second year (counting from last August, when the ethnic nationality organization, the United Nationalities Federal Council - UNFC, released its list of positions). The negotiation’s stated goal is to create a “Nationwide Ceasefire Agreement” (NCA), which presumably would bring peace to the country that is experiencing the world’s longest running civil war. The war is being fought between Burma’s military dictatorship, under the control of individuals from the largest ethnic group, the Burmans, and a wide collection of ethnic nationality pro-democracy armies. The war has further been instigated solely by the dictatorship, whose Burma Army (aka Tatmadaw or Sit-tut) has invaded the ethnic homelands, in the process committing widespread and ongoing crimes against humanity against the ethnic peoples. The fundamental problem with the negotiation is that the dictatorship does not want peace, much less democracy. As such, the entire process is fallacious. It is impossible that it will lead to its formal objective, an end to the war. Indeed, this fact is well understood by the rebels. They are participating in the negotiation mainly to demonstrate to the world that they are sincere in their desire for national peace, and further that such peace could easily - if not instantly - be achieved if the dictatorship would simply end its aggression. That the dictatorship does not want peace is proven by the fact that it is the party launching attacks, and on a number of the ethnic groups, including groups with which it currently has individual ceasefires. Since it is already breaking these agreements, there is no reason to trust any NCA that might be achieved. Further, the NCA can in no way be termed nationwide, since many groups - including those that are currently under attack - are unlikely to sign. It is also a fallacy to even call the prospective agreement a ceasefire. As C.S. Kuppuswamy noted in the article, “Myanmar: Nationwide Ceasefire Agreement - Analysis,” in Eurasia Review: “It is more of a political document than a ceasefire agreement, which explains why it has taken such a long time.” A ceasefire is simple, at least in concept. It is a cessation of combat. A normal ceasefire deal therefore has a limited set of provisions. These include an end to the fighting; demarcation of territory to help prevent future clashes; the relocation of troops and bases to achieve this demarcation; and - in some cases - the introduction of a peacekeeping force to keep the two sides apart. The Burma agreement, on the other hand, is incredibly complex. It includes a preamble and seven chapters. As the current text of the document has not been released, it is impossible to know if the above provisions related to a true ceasefire are even present. Much of the text, though, apparently concerns the groundwork for additional political negotiation, over the ethnic nationality demands for self-determination and the establishment of a federal democracy. In the last negotiation session, a supposed breakthrough was achieved with the regime seemingly agreeing to implement a federal system. But, as Sai Wansai has noted, in an article in the Shan Herald, “Burma Peace Process: Rejoicing prematurely or back to the square one?,” this “promise” is in no way assured. Indeed, it looks like “bait” to get the ethnic groups to fall into a trap. It is essential to understand that the regime negotiation team has two components, and which in turn are following a Good Cop/Bad Cop strategy. The good cop is the “government,” meaning the Union Peacemaking Work Committee (UPWC), as well as the regime’s propaganda arm the Myanmar Peace Center (MPC). The bad cop comprises the Burma Army generals, starting with “retired” Senior General Than Shwe, who are hidden in the background and who have no formal - at least public - negotiation unit or even spokesperson, but who nonetheless have veto authority over any deal. When the good cop - the government - said that self-determination and federalism are acceptable, what they really meant is that these subjects may be discussed in post NCA negotiations. However, the bad cop - the dictatorship itself - has shown no willingness, none whatsoever, to agree to these demands. Indeed, the generals are even unwilling to agree to a structure and timetable for the negotiations on these and other issues once the NCA is signed. A good question is why the NCA draft is so complex, and full of provisions well beyond that of an actual ceasefire. Probably the best reason for this is the influence of international “experts,” mainly representing the United States and Europe, which countries have invested so much in the idea that the reform in Burma is sincere, and who also fund MPC. In effect, peace in Burma is being sabotaged by the actions of a collection of foreign, well-intentioned fools, starting with Barack Obama and John Kerry, although a deeper reading is that Obama and Kerry actually realize only too well that the NCA will never yield peace, but simply don’t care. Another way to gain clarity on the situation with the NCA (and in Burma overall), is to consider the desires and motivations of the parties that are involved. However, this does not only include the ethnic nationality and regime leaders. Even more important are the interests of the ethnic peoples, and for that matter the Burma Army soldiers. For the ethnic peoples, they want an end to the attacks and abuse, including the destruction of their villages and crops, and the thefts, rapes and murders, all perpetrated by Burma Army soldiers. Moreover, they want this to be enduring. They want the aggressor Burma Army to withdraw, and with some type of guarantee that it will never return. It is only with the satisfaction of these objectives that the local peoples have any time for or interest in the broader issues of democracy and federalism. Interestingly, a similar set of objectives is likely held by the rank and file Burma Army soldiers (including the regime’s large population of press-ganged child soldiers), who are Burmans, and who have been used as cannon fodder by their generals in what are effectively campaigns of conquest in foreign lands. They have suffered enormous casualties in recent years. Certainly many if not most dream of returning home, to Burma Proper. For the ethnic leaders in the negotiation, most want exactly what their people want: peace, freedom, and democracy. However, this does not hold for all such leaders. For example, it is apparent that some of the leaders from the KNU would be willing to sign just about any deal. The KNU was corrupted through the fraudulent election at its last Congress, and some of the new leaders have already surrendered. At this point, they appear preoccupied by opportunities to engage in corruption. Irrawaddy reported that the major ethnic participants in the NCA negotiation received 120 permits to import cars, and that these permits were being sold, at up to $50,000 per permit, to bring luxury vehicles into Burma. Many ultra-luxury vehicles, including Rolls Royces, have passed through the Myawaddy checkpoint. Doing the math, the KNU leaders may have stolen up to $6 million, to provide cars to senior Tatmadaw generals and cronies. However, it appears that even this is not enough. The KNU wants the other ethnic groups to surrender as well, for which treachery it will no doubt receive an even greater payback (including from the International Community). For the regime, the only side that counts is that of the generals, meaning Than Shwe. His interests are unchanged. He wants to stay in power. He doesn’t want to lose his, or his family’s, stolen national wealth. He wants to defeat the ethnic rebels, and maintain his ability to terrorize their peoples. He also wants to keep Aung San Suu Kyi and other Burman dissidents under control, and prevent a popular uprising. And lastly, he wants to give the United States and Europe even more reasons to ignore what is really happening inside the country, and ultimately for them to supply the Tatmadaw with the weapons that it uses to commit war crimes. After all, American weapons are already being used against the people by dictators and terrorists in Iraq and Syria; why not in Burma as well? Than Shwe will never compromise on his core demands - his six preconditions - including that the rebels disarm and accept Burman officer control; and that they accept the 2008 Constitution with no or minimal amendment. Moreover, the national census results will be rigged, as will the 2015 election - if it is even held. Burma’s disciplined democracy - its new form of dictatorship - will proceed, with no real internal opposition, and - as with China - with full international support. A key issue with the NCA that has received scant attention is how it will be approved, meaning by the different ethnic groups. Everyone is too preoccupied with forecasting when the formal signing ceremony will take place, and who will participate. As an aside, it is worth noting that the date guessing contest, the month that a deal will finally be signed, is - for the ethnic nationalities - a loser’s game. The regime is attempting to out-negotiate them by getting them to accept the idea that a deal is inevitable, no matter the terms. The real starting point, on which they should never compromise, is that if their basic positions are not accepted, beginning with an end to the attacks and abuse nationwide, there will never be a deal. Indeed, by not responding collectively when the regime breaks the individual ceasefires, the revolutionaries appear weak. They have already surrendered to a degree. As for who signs, meaning Suu Kyi, or Ban Ki-moon, or even hypothetically Barack Obama himself, it’s irrelevant. 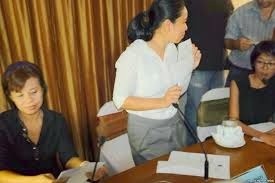 Having political celebrities sign will not in any way stop Than Shwe from breaking the deal. By talking about and even arguing over the signatories, the regime is simply trying to distract the ethnic groups from the real issues at hand. These of course cover the NCA terms, but also its approval process. What should happen is that any single text document that is finalized and accepted by the Nationwide Ceasefire Coordination Team (NCCT), should receive close and widespread scrutiny. At a minimum, the final text should be publicized the day it is agreed. The ethnic peoples should then be given an opportunity to comment. Finally, for formal approval, the document should be approved by the UNFC, and by the executive committees of all the participating organizations. It is essential to realize that there will be great momentum to accept anything that the NCCT approves. This momentum must be blocked, so the agreement can be given a careful and public appraisal. The dictatorship has been engaged in a multi-pronged propaganda war, and which includes international allies and participants (notably Harn Yawnghwe’s EuroBurma Office, and the Myanmar Peace Support Initiative). Domestically, the propaganda has ranged from the points described above; to the ongoing articles by MPC’s Aung Naing Oo that the ethnics should trust the Burmans - that’s rich! ; to the anonymously attributed MPC threats that if the ethnics don’t sign now, while “soft-liner” Min Aung Hlaing is Commander in Chief, that they will have to wait until after the election and deal with “hard-liner” General Soe Win. Internationally, the ethnic nationality leaders are being strong-armed in closed door meetings, and offered development incentives as bribes. What the ethnic leaders should do, though, is clear. They must represent their people, and through this all of Burma. While we can’t expect this from the corrupt participants, there is a risk with the sincere leaders as well. The negotiation has gone on for so long, and involved so much work. They have a lot invested personally in reaching a deal. They therefore need to guard against the tendency to just give up and to accept a bad deal. Even though the dictatorship is not sincere, the NCA is historic. They cannot make a mistake and sign a document that betrays their people. They need to wait - for years if need be - until they can get a fair and honest agreement. Finally, if the ethnic nationality leaders relent and an NCA is signed, it is certain that the regime will break it, if not the very next day. The ethnic groups should prepare their response to this eventuality, now. Normally, when a ceasefire is broken widespread fighting quickly resumes. But, groups in Burma with individual ceasefires, notably the KNU and the SSA-S, have already tolerated such aggression with minimal response. As UNFC Eastern Australia representative Philip van Gaalen-Prentice has noted, “The failure of the KNU leadership to hold the USDP-Tatmadaw regime to account in the fulfillment of these demands [withdraw troops near villages; reduce overall troop levels; release Karen political prisoners; cease military operations in all active war zones] has led to the present disastrous political position of the organization and its revolutionary allies. Had the KNU ended its ceasefire and cited the failure of the USDP-Tatmadaw regime to fully implement these conditions the pressure from Western governments could have been expected to fall most heavily on Naypyidaw - not the KNU and other revolutionaries - as the whole so-called 'peace process' provides them with justification of their political and economic engagement with Burma. When will the KNU and its allies in the UNFC hold the USDP-Tatmadaw regime to account for its constant ceasefire violations and open attempts to bribe their leadership?” With Mutu Say Poe in charge, I don’t think we can expect anything positive from the KNU leadership anytime soon. When the dictatorship breaks the NCA, though, those groups now fighting, including the KIA, TNLA, SSA-N, MNDAA, and also the UWSA, NDAA and Naga, should form a Northern Federal Military Alliance, to reinvigorate the revolutionary opposition. If this is done, it is likely that other groups, including the KNPP and NMSP, and even the SSA-S and units of the KNLA, will join as well, to establish a southern flank. In fact, the entire NCA charade can be used in a positive way as a staging ground and prompt to create a unified ethnic resistance, which will defeat the dictatorship once and for all. The goals of the ethnic people, of everyone in Burma who is not allied with the regime, can finally be fulfilled. The Asian Human Rights Commission is gravely concerned to have learned that Patiwat (last name withheld), a fifth-year student in the Faculty of Fine and Applied Arts at Khon Kaen University and a human rights defender, is facing a criminal investigation in relation to a complaint under Article 112 of the Criminal Code in Thailand. The complaint against Patiwat is in relation to his role in a play, “The Wolf Bride,” (Jao Sao Ma Pa), performed by Prakai Fai Kan Lakorn, a progressive theatre troupe. The play was performed in October 2013 at Thammasat University in Bangkok as part of the fortieth-anniversary commemorations of the 14 October 1973 student and people’s movement and uprising. Patiwat acknowledges having performed in the play but has fully denied that it violated Article 112. At this time, Patiwat was arrested after a warrant was issued and the police investigation is ongoing. The AHRC views the actions against Patiwat as an indication of the ongoing crisis of human rights and constriction of freedom of expression that have characterized Thailand since the 22 May coup by the National Council for Peace and Order (NCPO). The investigation of Patiwat is part of an expansion following the coup in the number of people facing charges with alleged violations of Article 112, which stipulates that, “Whoever, defames, insults or threatens the King, the Queen, the Heir-apparent or the Regent, shall be punished with imprisonment of three to fifteen years.” According to information collected by the Internet Dialogue on Law Reform (iLaw), there are twelve new cases pending in various criminal courts around the country and in the Bangkok military court. The cases which are pending in the military court are those in which the alleged violations took place following NCPO Announcement No. 37/2557 , made on 25 May, which placed crimes against the crown and state into the jurisdiction of the military court; the AHRC detailed the dangers of processing civilians in military courts in an open letter to UN special procedures mandate holders (AHRC-OLT-006-2014). The AHRC views this upsurge in charges under Article 112 as a politicized and ominous constriction of freedom of expression by the military junta. The particular way in which action has been taken against Patiwat only now, ten months after the performance of the play in question, suggests that the past is an open book of acts which can be criminalized in retrospect by the junta and their allies. In addition, the AHRC is also concerned about the manner in which Patiwat was arrested. According to information released in a statement by the Thai Student Center for Democracy, the dean of the Faculty of Fine and Applied Arts at Khon Kaen University, where he is a student, was informed on 13 August that Patiwat had been ordered to report to a provincial military base for “attitude adjustment.” Patiwat, the dean and other staff members of the Faculty of Fine Arts complied with this request. But then when they met with the responsible soldier, rather than taking Patiwat to the military base, he was informed that he was being arrested in relation to alleged violations of Article 112 and was taken first to the local police station in Khon Kaen, and then the Chana Songkram police station in Bangkok where the complaint against him originated. The Asian Human Rights Commission unequivocally condemns the coup in the strongest terms possible and wishes to express grave concern about the rapid decline of human rights protections and denial of freedom of expression it has engendered. The AHRC calls for Patiwat’s immediate release and for the investigation against him and others facing prosecution under Article 112 to be dropped. Further, the AHRC calls on the NCPO to recognize that tolerance for different ideas and dissent are part of building a polity grounded in human rights and the rule of law. To defend human rights and think differently than the junta are not crimes. As Thai citizens, we are writing to make clear that the military junta's Interim Constitution does not represent our will, nor does it represent the will of the Thai people as a whole. It is no one's rules, but the junta's own. We regard the Interim Constitution as Thailand's most anti-democratic constitution in half a century. We condemn it emphatically on three points. 1. The Interim Constitution is an attempt to entrench dictatorial rule in a permanent constitution, and force-feed it to the population. Under the Interim Constitution, the new, permanent constitution will be drafted and voted through only by bodies appointed by the junta. It will not go through a popular referendum. Such an undemocratic origin will not give rise to a democratic content. The population will be force-fed with a permanent constitution that continues the junta's authoritarianism, only in a permanent form. This is all the more abominable because it is done in the name of "reform" for a better democracy. 2. The Interim Constitution abolishes civil and human rights, and redefines arbitrary use of force as rule of law. Rights are rights only when they cannot be arbitrarily violated. While Section 4 of the Interim Constitution says that basic civil rights of citizens must be protected, it also says that these rights are subject to constitutional provisions, which includes the provision that gives the junta absolute power to issue any arbitrary order as law (Section 44). With this recognition of arbitrary use of force as legitimate, the mention of rights is meaningless. No rights are actually protected at all. In this sense, the Interim Constitution pretends to protect civil rights, when in truth it abolishes them. At the same time, in an Orwellian move, the Interim Constitution redefines arbitrary use of force as rule of law. 3. The Interim Constitution grants the junta impunity for their past, present and future crimes. The Interim Constitution grants the junta impunity from "any guilt or responsibility whatsoever for any illegal act committed before, during, or after 22 May 2014" (Section 48). Pretending that they are bringing peace, order and happiness, the junta give themselves a wild card to continue, or even escalate, their human rights violations without ever being held responsible. We call on the National Council for Peace and Order (NCPO) to immediately repeal the Interim Constitution, so as to annul impunity, protect civil and human rights, and allow for the permanent constitution to be drafted by an elected body and approved by the people in a free, fair and inclusive referendum. “That firing was something as if it was firing of India and Pakistan war” said Bhante Kashyap, reminiscently, one of the eye witnesses of Ramabai Nagar homicide of 1997, in the heartland locality of Mumbai, Ghatkopar East. Another narrator and also an eye witness of this arrogantly brutal massacre of Dalits in Ramabai Nagar, has depicted how thirteen years old boy had been shot dead by police’s bullet hitting his skull and splintered it in two pieces. Few more eye witnesses as well as victims, after seventeen years of the incidence have gathered courage to come up on the stage, provided by ‘Ramabai Nagar Hatyakand Sangharsh Samitee’ at their arranged conference at Ramabai Nagar, on the seventeenth anniversary of this incidence. 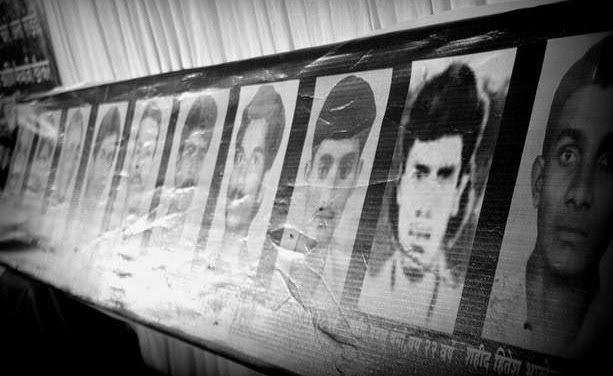 On the early morning hours of 11th July 1997, the predominantly Dalit locality of Mumbai, Ramabai Nagar, Ghatkopar East had witnessed the black day. The statute of Dr. Ambedkar was desecrated with garland of shoes and chappals. When peaceful protestors were gathered on the eastern express highway passing through Ramabai Nagar, the police arrived within fifteen minutes from nowhere. Manohar Kadam, a sub- inspector of the State Reserve Police Force (SRPF) ordered the firing which had taken place into the locality that, despite the fact that protestors were on the road, had led to the killings of eleven local residents, left twenty-six people injured and each of one of the locality humiliated with undelivered justice even after seventeen years. ‘The Gundewar Commission report- the commission appointed to investigate the incidence- held Kadam responsible for "straightaway" opening fire without warning or even attempting to disperse the crowd through other means’. Manohar Kadam is still not arrested, despite being held guilty for firing and death of eleven innocent people, enjoying the pension of government for his public service. Eleven families have lost someone among them; most of the people who died were in their early twenties or thirties. Those who were injured went on with their lives. One of them is Milind Pagare, injured by the blast of teargas shells (expired at the time of use), who then was around seventeen years of age, now at thirty-four, is protesting blindfold, seeking justice for victims and the arrest of Manohar Kadam on his occasional fasts. On the other hand, along with social transitions, political discourse of and by Dalits have been taken a huge leap. The Shivsena and BJP coalition, who then was governing Maharashtra, is again formed the government, this time with full majority in the centre. Meanwhile atrocities against Dalits have been unabated and often go unnoticed with no heedful recognition either by state or media. Ironically, infamous killings of Dalits in ‘Laxmanpure Bathe’ and ‘Bathali Tola’ offer an illusion to people about justice, with the curious acquittal of perpetrators. Khairlanji massacre of Dalit family in 2006, again in Maharashtra, only cemented the illusion of justice in atrocity cases against Dalits. Today, in Ramabai Nagar, the memory of the incidence is fresh and equally haunting. Meanwhile justice to the victims seems lost into the chaos and fusion of political reconstruction and allies into the Ramabai Nagar itself. The perpetrator of desecration of the statue has never been found. Manohar Kadam, who had been was given life sentence by session court was succeeded to acquired bail from high court and had never been into jail custody whose un-imprisonment is, as Anand Teltumbde recalls, a rude shock for Dalits of Ramabai Nagar who are still waiting for justice, moreover hoping for it through their Morchas, Dharanas, fasts and into their conferences of defending human rights and dignity. I have today read Ayesha Jalal's book 'The Sole Spokesman'. In my opinion it is superficial and has made no difference to my view that it was the British who were responsible for the Partition of India, with Jinnah as their main agent ( though ultimately the Congress Party also acquiesed).The same Jinnah who was secular and the ' Ambassador of Hindu-Muslim Unity' in the 1920s later became the main protagonist of the fraudulent two nation theory in the 1930s. Obviously he did this to satisfy his ambition to become the 'Quaid-e-Azam', regardless of the suffering his actions caused to both Hindus and Muslims. 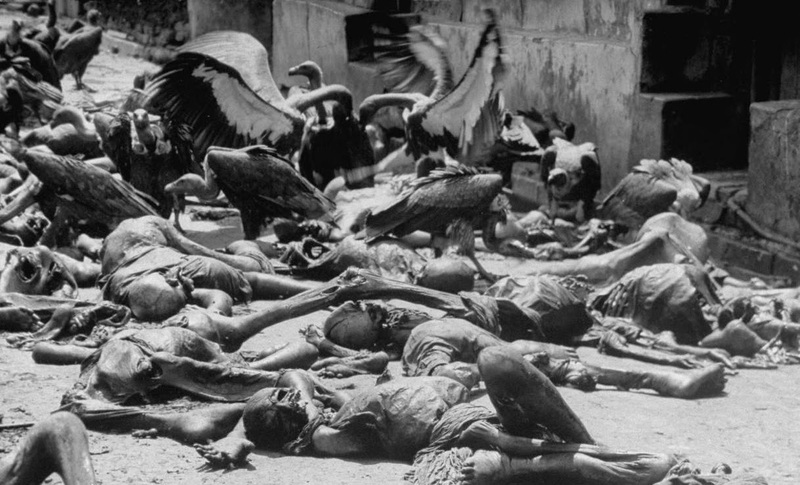 His call for Direct Action Day resulted in the terrible Calcutta killings in 1946. And, of course, the Partition resulted in the deaths of 500,000 people, Hindu and Muslim, and the uprooting of millions from their native places. Did this cause any grief to Jinnah ? Not at all. As long his ambition was satisfied he was not bothered about the horrible miseries he had caused. If you read Jinnah's speeches and his letters ( they have all been published) you will see that from the 1930s onwards he relentlessly preached the 2 nation theory, that Hindus and Muslims are two separate nations, and therefore cannot co-exist together. This was of course humbug. If you wish to really understand the causes of Partition you must go further back in history. Upto 1857 there was no communal problem. Hindus and Muslims lived in harmony, and with great regard for one another. Hindus used to join in Eid celebrations, and Muslims in Holi and Diwali. The Muslim rulers like the Mughals ( though there is a controversy about Aurangzeb), the Nawabs of Avadh and Murshidabad, Tipu Sultan, etc were thoroughly secular. If you read Ghalib's letters to his Hindu friends like Hargopal Tofta, Munshi Shivnarain Aram, etc you will find how much affection there was between Hindus and Muslims upto 1857. I may give some examples. Once Holi and Muharram fell coincidentally on the same day on the same day. The Nawab of Avadh, Wajid Ali Shah was a Shia. After taking out the tazia and burying it in the karbala in Lucknow, he enquired why Holi was not being celebrated. He was told that since Holi was a festival of joy, while Muharram was an occasion of sorrow, Hindus had decided not to celebrate Holi that year out of respect for the sentiments of their Muslim brethren. On hearing this the Nawab declared that since Hindus had respected the sentiments of their Muslim brethren, it was the duty of Muslims also to respect the sentiments of their Hindu brethren. He then announced that Holi would be celebrated the same day throughout Avadh, and he himself was the first to play Holi, although it was also Muharram day. I may give another example. I had once gone to Shringeri in the state of Karnataka. That is the peeth or centre of the southern Shankaracharya ( the adi, or original, Shankaracharya had established 4 peeths for Hindus in the north, west, south, and east). The present Shankaracharya, Bharati Teerth, showed me 30 letters sent by Tipu Sultan with monetary grants to the then Shankaracharya. In one of these letters Tipu Sultan says that it is because of the blessings of the great saint Shankaracharya that his kingdom has prospered, there are good rains, people are happy, etc. Just next to the palace of Tipu Sultan still exists a huge, old Shiva temple. I can give dozens more of such examples to show that there was no communal problem till 1857. There were no communal riots before that year. In 1857 the Mutiny broke out, in which Hindus and Muslims jointly fought against the British. After crushing it the British decided that the only way to control India was divide and rule. So directives were sent from London to the British Government in India that all efforts should be made to make Hindus and Muslims fight with each other. You can see details of these directives in B.N.Pandey's speech 'History in the Service of Imperialism' online. The speech was delivered by Prof. Pandey in the Indian Rajya Sabha ( Upper House of Parliament). All communal riots, artificially engineered by the British authorities began after 1857. The British Collector would secretly call the Hindu Pandit, give him some money, and tell him to start speaking against Muslims, and similarly he would call the Muslim Maulana, give him money, and tell him to start speaking against Hindus. Music was deliberately played by agent provocateurs before mosques at prayer times to provoke Muslims. Cows were killed and thrown in front of Hindu temples by such people to provoke Hindus. This poison was systematically injected into our society year after year and decade after decade after 1857. The Minto Morley 'Reforms' of 1909 introduced separate electorates for Hindus and Muslims to divide the communities. Every devilish step was taken by the scheming Britishers to sow the seeds of discord between us. Obviously for this the British had to have local agents, and they chose Jinnah as their main one as he was the most efficient ( though there were others too, including some in the Congress Party). The purpose of the British for dividing was to keep us weak and disunited by making Hindus and Muslims keep fighting each other, and thus be exploited. Partition in 1947 was also for the same purpose, so that we could continue to be exploited even after the British left, and may not become a highly industrialised state and thus rival for western industry. I am afraid Ayesha Jalal knows nothing of all this, and hence her book is totally superficial. PARIS-GENEVA, June 30, 2014. On June 26, the highest jurisdiction in Vietnam upheld a two-year prison sentence against blogger Truong Duy Nhat. The Observatory for the Protection of Human Rights Defenders, an FIDH-OMCT joint programme, together with the Vietnam Committee on Human Rights (VCHR), denounce the Supreme People’s Court’s decision and call on the Vietnamese Government to release him along with all other human rights defenders currently detained across the country. On June 26, 2014, the Supreme People's Court in Danang, Central Vietnam, upheld a two-year prison sentence against prominent blogger Truong Duy Nhat for publishing online articles critical of the Government on his blog “A Different Point of View”. 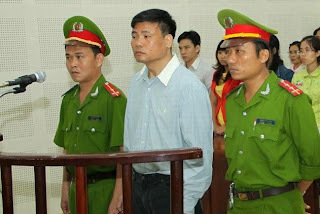 On March 4, 2014, Truong Duy Nhat had been sentenced by a court in Danang to two years’ imprisonment under Article 258(2) of the Criminal Code for “abusing democratic freedoms to infringe upon the interests of the State”. During the appeal hearing, Truong Duy Nhat was not allowed to defend the content of the 12 online articles that led to his prosecution. The blogger has been detained since his arrest by the Vietnamese police on May 26, 2013. Truong Duy Nhat is a former journalist with State-run newspapers “Bao Cong An Quang Nam Danang” (Quang Nam Danang Security Police newspaper) and “Dai Doan Ket” (Great Solidarity newspaper). In 2011, he quit his work as a reporter to write for his blog “Mot Goc Nhin Khac” (A Different Point of View), which became widely known for its criticism of the Government. In his blog, Truong Duy Nhat frequently criticized the performance of top Government officials, including the Prime Minister, from the point of view of the rights enshrined in Vietnam’s legislation and the international human rights covenants signed by Vietnam. Our organisations urge the Vietnamese authorities to immediately and unconditionally release Truong Duy Nhat as well as all human rights defenders who are currently serving long prison sentences or awaiting trial in Vietnam, as well as to immediately repeal draconian laws that severely restrict freedom of opinion and expression. Our organisations reiterate their call on the Vietnamese authorities to ensure in all circumstances that human rights defenders are able to carry out their legitimate activities without any hindrance and fear of reprisals, in line with the United Nations Declaration on Human Rights Defenders and the Universal Declaration of Human Rights. GENEVA, 20 June (Vietnam Committee) – At the United Nations Human Rights Council in Geneva today, Vietnam rejected 45 key recommendations made by member states to improve human rights protection and uphold the fundamental rights of its citizens in Vietnam. The Council was examining the Working Group’s report on Vietnam’s Universal Periodic Review (UPR) held on 5 February 2014. 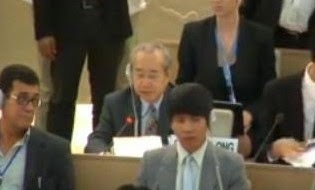 Vietnam was given until this current session to inform the Human Rights Council which recommendations it will accept or reject for the next four years. In an Oral Statement on behalf of Acting Together For Human Rights and Vietnam Committee on Human Rights (VCHR), Mr. Vo Van Ai, VCHR President, strongly criticized Vietnam and highlighted continuing widespread abuses against civil society activists, bloggers and human rights defenders in recent months, including Police violence, harassments and arbitrary detention. He raised the cases of journalists and bloggers Truong Duy Nhat, Pham Viet Dao and Nguyen Huu Vinh (blog name Anh Ba Sam), as well as prominent Buddhist dissident Thich Quang Do and youth leader Le Cong Cau (see full text below). “Vietnam is second only to North Korea in the number of recommendations made by UN member states at its UPR”, said Vo Van Ai. “Out of 227 concrete recommendations, Vietnam accepted only the most general ones, whilst rejecting 45 concrete, positive steps which would have helped significantly to protect its citizens’ fundamental freedoms and rights”. In its report to the Human Rights Council, of which the VCHR has obtained a copy, although it was not made public on the UN website, contrary to UN rules, Vietnam rejected recommendations to sign the Optional Protocols to the UN Covenant on Civil and Political Rights and other international human rights treaties it has ratified. The Optional Protocols are very important because they enshrine the right of individuals to lay complaints against the government for violations of these treaties. Vietnam also rejected a recommendation to extent a standing invitation to all UN Special Rapporteurs to visit Vietnam (proposed by UK, Austria, Czech Republic). It rejected 20 recommendations concerning the death penalty, and refused demands to release prisoners detained arbitrarily according to the UN Working Group on Arbitrary Detention (Germany, Switzerland, New Zealand). 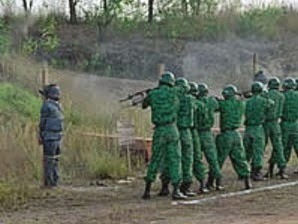 Vietnam also refused recommendations by the United States and France to revise vague national security laws used to suppress universal rights, notably articles 79, 88 and 258; by Austria to provide public information on the number of detention camps and the number of prisoners detained therein, and by the Czech Republic to ensure independence of the media and release all human rights defenders, journalists and religious and political dissidents detained for the peaceful expression of their opinions. Against a backdrop of ongoing arrests in demonstrations against Chinese encroachments on Vietnamese waters and lands, Vietnam rejected recommendations to enact laws to provide for peaceful demonstration (Australia) and end prosecution of peaceful protesters (Greece). It refused to explore possibilities for technical support through the Working Group on Enabling and Protecting Civil Society of the Community of Democracies (Canada), and, not surprisingly, to enhance equal political participation by its citizens and take steps towards multi-party democracy (Czech Republic). Prior to the Human Rights Council session, the VCHR had issued a joint briefing paper with the International Federation of Human Rights (FIDH) urging UN member states to press Vietnam to accept meaningful recommendations in 15 crucial sectors, including freedom of expression, religion and assembly, human rights defenders, legal reforms, the release of prisoners of conscience, worker rights, the death penalty, women’s rights and cooperation with UN mechanisms. In his statement, Mr. Vo Van Ai called on Vietnam to respect its own Constitution and its international commitment “to uphold the highest human rights standards as a member of the Human Rights Council”. Vietnam’s next UPR will be in 2018, when it will have to report to the Council on its implementation of all the human rights recommendations accepted at today’s session. am has accepted recommendations to protect religious freedom, but it imposes a draconian system of registration which criminalizes religious practices outside State-approved bodies. Thich Quang Do, leader of the Unified Buddhist Church of Vietnam remains under house arrest after 30 years in detention, and Buddhist youth leader Le Cong Cau has been und er house arrest since January for demanding legal status for the UBCV and sending an audio message to the United Nations for Vietnam’s UPR. We call on Vietnam to release all persons arbitrarily detained for the peaceful expression of their opinions and beliefs, in respect of its own Constitution and its commitment to uphold the highest human rights standards as a member of the Human Rights Council. To ensure effective implementation of the UPR recommendations, Vietnam should take urgent steps to respect its citizens’ fundamental freedoms and rights, including freedom of expression online and offline, freedom of religion, peaceful assembly and association. Thank you for your attention. We call for all people's movements and organizations, political parties, activists, intellectuals and people at large to commemorate the “Black Day” on June 22, 2014. As you may know this is the 9th anniversary of the day when the MOU was signed between Government of Odisha and POSCO. For the last nine years, the POSCO and the state government has employed end number of tactics to sabotage our peaceful democratic movement. It started influencing our people through declaring packages as a part of Corporate Social Responsibility (CSR), continuous atrocities on our peaceful protesters, uncalled for and illegal arrests, false police cases, unleashing of a reign of terror by using private goons and so on. They want our people and solidarity groups to get tired and leave up the struggle. 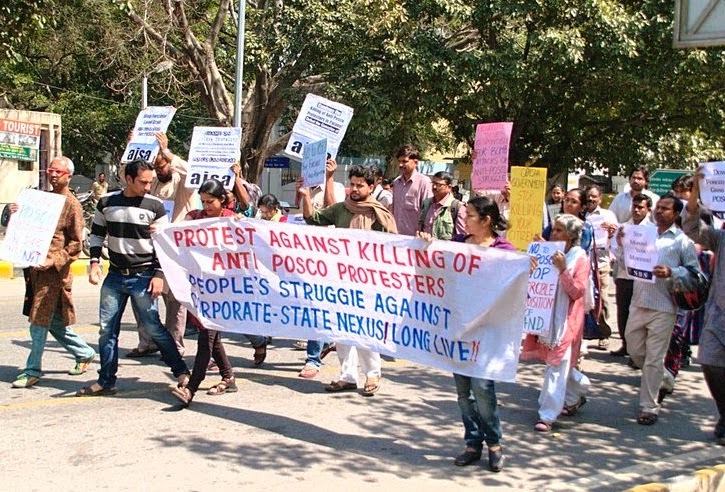 We are determined to continue our fight till POSCO withdraw the project. To make this struggle a success, we earnestly request you to support our cause despite continuous and misleading propaganda made by POSCO. As we have shared with you on the last update, the water resource department has given an unwarranted permission to POSCO to draw water from Hansua River for construction of steel plant. Villagers of Hansua Bachao Sanghrash Samiti are organising a mass demonstration before district collectorate office at Jagatsinghpur office on 21 June 2014 against this unjust and illegal declaration. We also came to know from the media that the officials are planning to convene the meeting with few villagers for discussion on compensation package. PPSS is strongly determined to oppose such illegal and arbitrary move and to fight in tooth and nail for any such attempt of the administration of the Government. Yesterday (on 5th June) at village Budhabhui, Lahunipara block, thousands of tribal communities including the Paudi Bhuiyan and Munda, PVTGs coming from far-flung villages, gathered under the aegis of Khandadhar Suraksha Sangram Samiti (KSSS) daring the baking heat, with their traditional weapons. They pledged to save the bio-rich Khandadhar from mining and vowed to lay down their lives to save their ancestral land from POSCO. The head of Paudi Bhuiyan Adima Janajati, Bilua Naik administered the oath in this regard and the World Environment Day was observed as Save Khandadhar Day. A protest march was taken to the venue and all the members gathered determined to end the struggle by protecting their motherland, natural resources and the ancestral territory and habitat of the Paudi Bhuyan Adima Janjati and other forest dwelling populations. The leaders of various anti-displacement movements in Odisha were also joined in solidarity like Abhay Sahoo, Posco Pratirodh Sangram Samiti, Parfulla Samantara President, Lok Shakti Abhiyan and Lingaraj, Convener, Western Odisha Farmers Organisations’ Coordination Committee besides, Talsara Congress MLA Prafulla Majhi and Banamali Dhupal, Secretary, CPM Sundargarh attended on behalf of its Bonai legislator Laxman Munda. In the meeting, members have appealed to the Central and State Governments to ensure that mining operation is not allowed in 25 km radius of the waterfall and accord national natural heritage status to the site. Besides, it also demanded strict implementation of the Forest Rights Act in the region to recognise the forest dwellers’ community ownership and habitat rights of Paudi Bhuyan and Munda ( PVTGs). This is high time for which we request you to express your voice of protest by joining with our villagers or by taking the initiative to organize at your own place, if you think you should do, a protest march on 22nd June 2014. We realize that it’s not just fighting for our land and for our livelihoods; it’s all about fighting for Democracy itself. We take courage from all the various movements and groups from around the world that continue to support us and for whom, in turn, we have come to represent the struggle for democracy. Kindly circulate this mail widely. Everyone needs a life of respect. Those in cages still wait for theirs. Written and photographs by Hazel Le & Nilantha Ilangamuwa It was almost sunset in Asia’s global city, but darkness is a rare experience in a city that stays awake for 24 hours a day, 365 days a year. The city itself might tell many stories, if one cares to listen, as it is a bridge between the past and the present. But, the purpose of our walk through one of most secure cities, which has contributed so much to modern world history, is to detail a sadistic story some humans face today. Hong Kong agencies, including immigration, ostensibly work to provide a comfortable life to those who visit and live in the territory. Hong Kong's residents are calm and respectful. They are reserved and appear to tend towards individualist thinking, but they also know how to rise up collectively when their way of life is threatened or when the rights they consider inviolable are under attack. ( Photo:- Busy City : Mong Kok ) But, in a place that values freedom and respect, the legacy of “caged homes” creates a stark and chilling contrast. Here is how the Society for Community Organisation (SCO), a prominent rights group working with the homeless, outlines the history of cage houses in Hong Kong: “Caged homes are a miniature of Hong Kong poverty. They arose in 1950s due to an influx of refugees from mainland China who provided Hong Kong industries with cheap labour. Their arrival created a strong demand for low cost bed space apartments as the Hong Kong Government had no housing and labour protection policy for these low paid workers. Before 1985, singletons were not even allowed to apply for public rental housing. Many single men arrived in Hong Kong with hardly any possessions. They worked as coolies and rented 3 ft. x 6 ft. bedspaces. They needed to share one kitchen and one toilet with tens of households, decade after decade. To make more profit, the apartment operators used iron cages to construct bunk beds (two to three beds stacked on top of each other), and so the name “caged home” was coined. To put things more simply: a cage home is a cage no bigger than a dog pen with one small entrance through which a person may crawl through to get in and that even more difficult to get out. A cage that these people call home. “Do these places still exist,” is the question that passed through our mind? The fact that Hong Kong, as one of richest territories in the world, might still have these cages for human beings was troubling. And we were surprised to learn that, even this year (2014) hundreds of thousands of people in Hong Kong are still homeless and many use cages as their house. Universal Suffrage, Not Suffering “Freedom is the most valuable principle in the territory,” Emily Lau, who is the chairwoman of the Democratic Party in Hong Kong and one of key political characters at the Legislative Council (Legco), said when we interviewed her at her Hong Kong office. Though she is not comfortable with the politics of Mainland China and their interference in Hong Kong, she pragmatically prefers the maintenance of political cohabitation, while also accepting that the denial of reality is impossible when one needs concrete solutions to problems. A former journalist turned politician, Emily Lau has confidence and energy that sustains her fight for universal suffrage. “Hong Kong has unique identity of maintaining democratic values with its true meaning, therefore we need to protect them for our next generation”, said Emily. 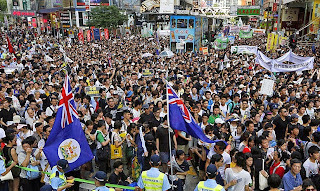 “Hong Kong people have been fighting for universal suffrage for several decades and are losing patience. Many do not believe Beijing will allow the special administrative region to have democracy as long as China is governed by a one-party dictatorship. Although the Basic Law states that the chief executive shall be selected by consultation or election, Beijing has insisted political development should be by gradual and orderly progress,” Emily stated in a recent newspaper column. “In 2010, the Democratic Party supported political reforms for 2012, which added 10 members to the Legislative Council and 400 members to the Election Committee that selects the chief executive. This was not universal suffrage but because of this step forward, Beijing gave Hong Kong people the understanding that the chief executive will be elected by universal suffrage in 2017, and after that, all Legco members will also be so elected,” she added. “Not only Hong Kong, but also other countries in Asia must maintain democratic values. We must help to improve the governance system”, she said while recalling her experiences in Burma/Myanmar and as an election observer in Bangladesh. Despite of all its positive developments in the last few decades, many of the city's residents face tremendous difficulties in their lives. “Crowded with skyscrapers, Hong Kong witnesses a GDP growth of over 2 trillion HKD every year, but some of its citizens end up homeless. What they call “home” is a dim street corner, a ragged chipboard or a second–hand mattress”, Ho Hei Wah, Director of SCO noted in the preface to the book, “Homeless”, which contains a series of vivid photographs. With this in mind, we intended to seek and learn more about the people stuck in painful and stressful conditions, waiting for concrete solutions from the government. Such stories are hardly covered in the mainstream media. And, it is not such an easy task to get access to the areas and information that illustrate this difficulty without special assistance. 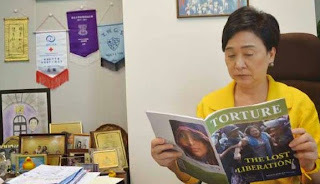 We were lucky, therefore, to receive help from Sze Lai Shan, an activist who commenced her work with those living in cages in the early 1990s. She agreed to help us visit areas of the city where people have cages for homes so we could talk with the inhabitants. As soon as we met Sze Lai Shan at the exit of the Mong Kok Mass Transit Railway (MTR) station, we commenced a free-wheeling coversation with her. She shared interesting but painful experiences as we made our way to our destination. How many people are affected? According to the government, there are 175,000 people who continue to live on the basis of temporary arrangements or in cages. But, according to independent statistics, our guide offered, there are around 200,000 people across the territory who are homeless. (Ms. Sze Lai Shan) She informed us that while most of them have likely come from mainland China, others have been around their entire life. The first thing we noticed, as we stepped into Mong Kok, one of the overcrowded sections of the territory, was the smell. We were finally close to learning about the people who have spent decades with their only home a cage. We recalled the story of Yau, who was in the cage for decades and we were curious to know about his present situation. The SCO website had this to say: “Yau was orphaned at fourteen when his parents starved to death during World War II. He is alone in life and one of Hong Kong's hundred thousand elderly poor. He previously worked in a bookshop and now his only hobby is reading Chinese literature. His only dream is to have an individual public housing unit and a room full of books” He collected as many books as he could and kept a small space in his cage for them. Later, the SCO helped him to keep his books in a secure place. However, “he passed away two years ago,” Ms. Sze updated us, dashing our hopes of speaking with him; every homeless person has a story to tell and Yau’s had been an extraordinary one. Armed with a basic outline of the cage houses and homeless people in Hong Kong in our heads, we entered the second floor of one of the high-rise buildings in Mong Kok. Sze Lai Shan, who is also associated with SCO, brought us along as her friends; otherwise neither security personnel nor those who are in the cage will allow us to enter or will speak to us. Literally, cage life is a secret; only landlords/cage owners, certain agents of the government, a few activists, and those who live in the cages are privy to life inside. “Here we are, please close the door and come in,” our activist guide passed the message to us and we entered accordingly. Small passages took us through the apartment, letting us see the death of freedom, caged disorder, dirt, filth and the putrid smells that accompanied them. The strangeness amplified by the fact that just outside the walls was the same city renowned for its freedom and human dignity – a contrast that conjured comparisons of heaven and hell and left us wondering if the walls themselves were another type of cage – a cage to keep misery out of sight and forgotten even with help so close by. But we refocused on our task and approached the residents. Despite the difficult and stressful lives they live, the residents of the caged tenement had friendly smiles to share with us. It showed a hope for change. He explained further: “I won’t hide the reasons why I came here: China is bad in the truest sense. Freedom was only a day dream”. However, he was able to find a cage house in 1987 when he started working as a construction worker in different places in the territory. But with the passage of time his health worsened. Now he suffers from numerous ailments. “I’m getting tired even after speaking a couple of words, my liver is getting worse. True, the government is helping me by providing health facilities. But the situation in the cage aggravates my illnesses”, he said. “I spend my time here and I have many friends with whom I spend my time. But from time to time, and one by one, they passed away, illustrating the reality of life. I know one day I have to go, and now we are only seven people here in different cages but earlier there were around 80-70 people in this whole floor. Most of them died. Now my health is getting weaker, especially due to the hygiene situation here. It worsens daily. During the summer, many fleas appear, which is the most terrible part. The owner of these cages is not concerned about these issues and we have no money to change the environment”. When asked about the meaning of life, his response was uplifting: “I never really thought about . I do understand everyone has meaning in their life. Even people like me who have been, and still live, through tremendous struggles to find happiness and freedom. But I believe difficulties don’t matter till you see the difference. Perhaps it’s not only seeing but also to having a desire to achieve a difference in life”. His story also is another horrific narration of life and struggle. He too dreams of having a public house. However, at the moment he is able to get HKD $ 4,000 allowance from the government in which he has to pay HKD $ 1,400 as the monthly rent for the cage. These are only two stories of thousands of elderly people in Hong Kong. But there are also many women living in such cages without help who support and care for their families. “Many children who are living with their mothers are attending school, but their lives are as bad as you saw here,” Sze Lai Shan explains. Living in cages is a great difficulty some residents of the city face; they need more attention from the government and they need help moving from these cages to more suitable homes. On the surface, Hong Kong is one of most respectful places in the world, no matter who you are. The territory has attracted many people from around the globe and its efficient public services are a large part of what makes Hong Kong so appealing; it is one of the Hong Kong government’s finest achievements. However, there must be urgent and immediate action regarding these inhuman conditions that tarnish the territory’s reputation. Globally, Hong Kong has passed through many difficult situations, from slavery to the modern day struggle for freedom and justice. The cage culture was an available solution at one time, when the region was surviving conflict and post-conflict situations. Hundreds of thousands of people landed here seeking a better life. Hong Kong treated them with equality and did its best to overcome difficulties faced. The world has changed and it is time for Hong Kong to live up to its reputation. Everyone needs a respectable life, and those living in cages should not have to wait for it any longer. Hazel Le graduated from the Hong Kong Polytechnic University in Marketing and Public Relations. She is currently part of the administration at the Asian Human Rights Commission. An article about Hazel's childhood in Hong Kong was published in an earlier issue.